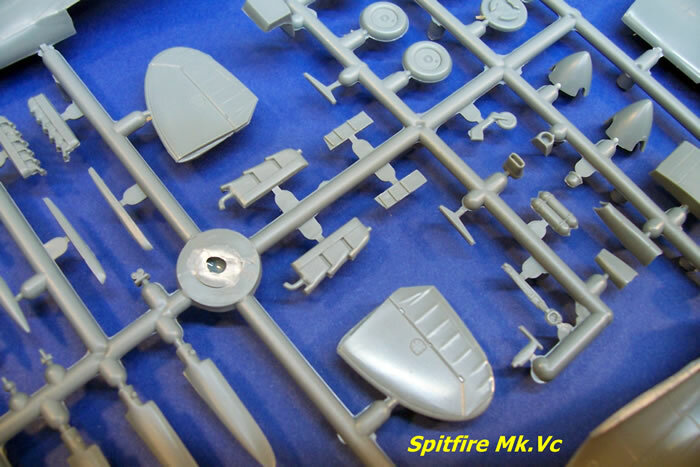 Spitfire: Sixty-one grey and two clear styrene parts, six resin parts, and two decal options. 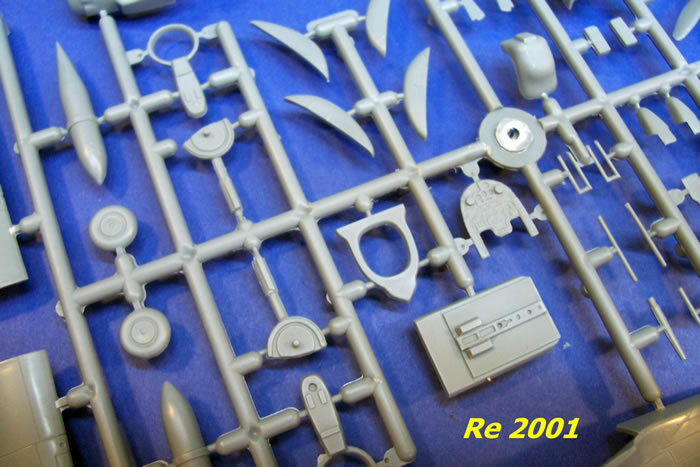 Re 2001: Fifty-two grey and five clear styrene parts, five resin parts,* and two decal options. Two of these are wheels that do not appear on the parts map, although they have been in previous Re 2001 boxings. 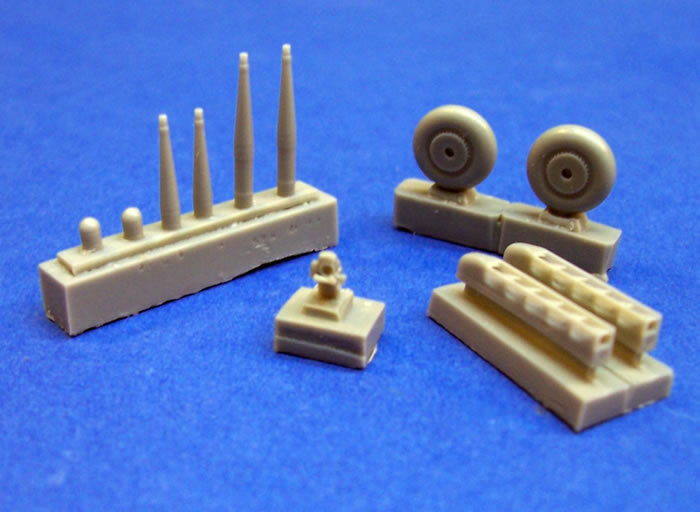 Excellent value, these are both good quality kits, with nice detail levels for the scale. 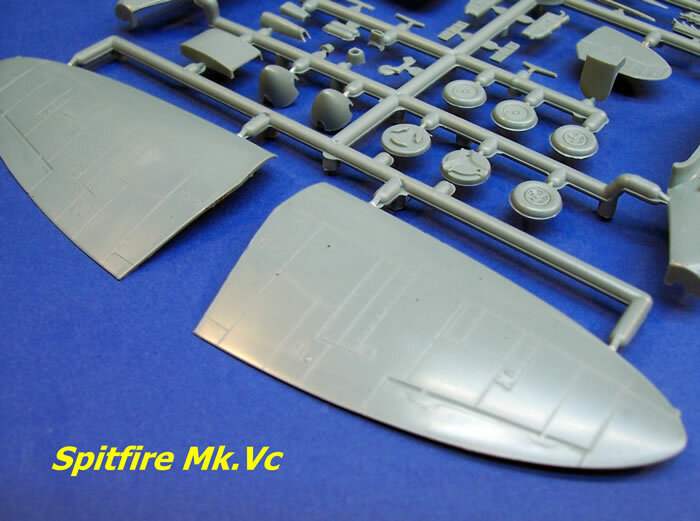 The RE 2001 is the best kit available in 1/72-scale, and the Spitfire Mk.Vc can probably make the same claim (but being a Spitfire, this will be more open to dispute!). The Re 2001’s bulletproof windscreen should be provided complete, rather than a clear appliqué panel; and paint colours could be better described. Regardless of the anniversary-marketing angle, twin packs such as this stand or fall in part on the value they offer over buying the kits separately. In this case, the package is extremely good value at the same price or less than the equivalent Sword single-kit boxing. Both kits have good detail and nice scale finesse, as well as some attractive parts options; but I have two small criticisms. The Re 2001’s bulletproof windscreen should be provided complete, rather than a clear appliqué panel; and paint colours could be better described. Placing such considerations aside, both kits are very worthy in their own right. They are arguably the best 1/72-scale kits of the subjects they represent. They sit on that cusp between what we modellers tend to call limited run and mainstream. The Battle of Malta was a vital one to maintaining the British presence in the Mediterranean, and following on from this, their ability to oppose Axis forces in North Africa. It is a story of heroism on the part of the naval convoys trying to reach the island; submarine, surface and air sorties against the Axis convoys bound for North Africa; major air battles to defend the island, and the tremendous damage wrought on the tiny Island from the air. Finally, there was the incredible resilience and bravery displayed by Malta’s civil population during the blockade and bombing. King George VI awarded the George Cross* to the Island of Malta in recognition of this. The George Cross is the Britain’s highest civilian bravery award, and second only in ranking to the military’s Victoria Cross. Some other Commonwealth countries also use the award. Members of the military can also receive the George Cross for acts of bravery where military honours are not normally granted; such as courageous acts that are not performed in the face of the enemy. Like most WWII battles, air supremacy was the key to success or failure in the battle for Malta. The British came perilously close to conceding this on occasion, but like the earlier Battle of Britain, their air defences held and eventually became dominant. The blockade was broken; and ultimately, the Axis forces had to abandon North Africa. Sword has used the anniversary of a significant campaign to offer a paired kit featuring two adversaries. This is a move reminiscent of the Airfix’s “Dogfight Doubles”, which were first marketed in the 1960s. The difference in this case is that Sword’s colour scheme selection is specific to the campaign being remembered, and there is no twin-plan stand to mount in-flight models of the combatants on (thank goodness!). The Spitfire Mk.V’s history need not be repeated here, as it will be familiar to most. Suffice to say the Spitfire Mk V was the third major production version of the fighter, and the second most produced after the Mk IX. 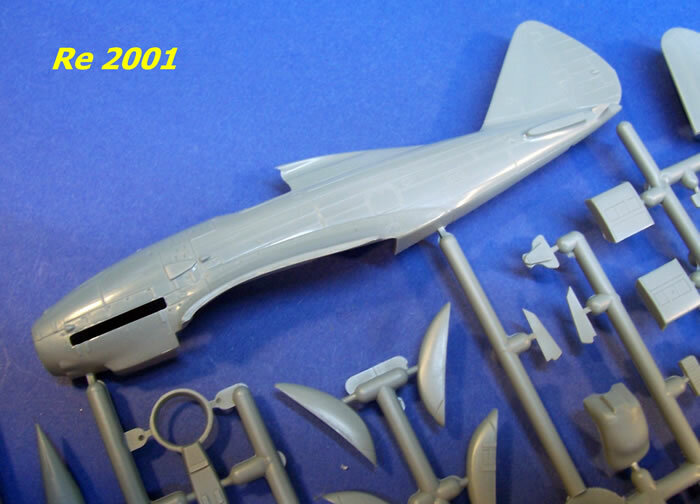 The Re 2001 may be a little less known to some however, and so is outlined below in brief. Italian fighter development was restricted prior to WW2 by the lack of a modern V-12 water-cooled engine. This changed when their German ally granted Alfa Romeo a licence to produce the DB 601 V-12 engine. The Italians could now improve the performance of existing fighter designs by replacing their radial engines with the more powerful and streamlined V-12. 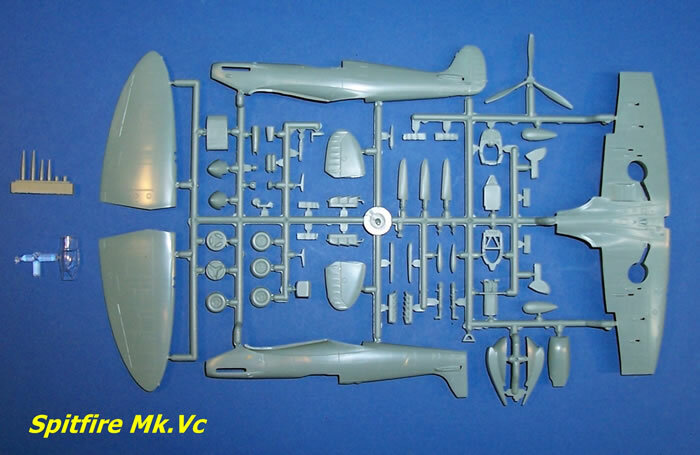 The result was the Macchi C. 202 Folgore and Reggiane Re 2001 Falco II. 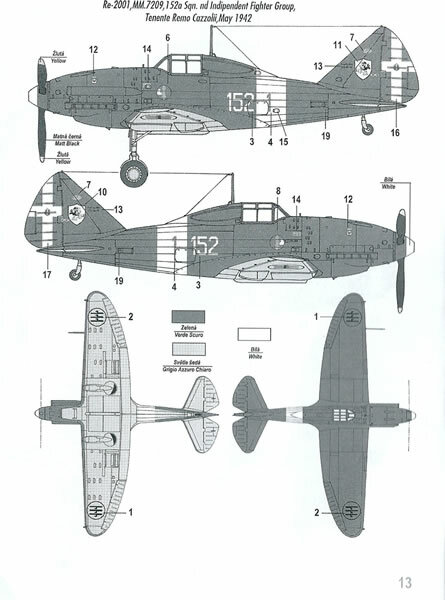 Macchi produced the C.202 by replacing the C.200’s radial with the V-12 engine, but they made few other changes to the airframe. The Re 2000’s wing structure and integral fuel tanks had given problems in service. 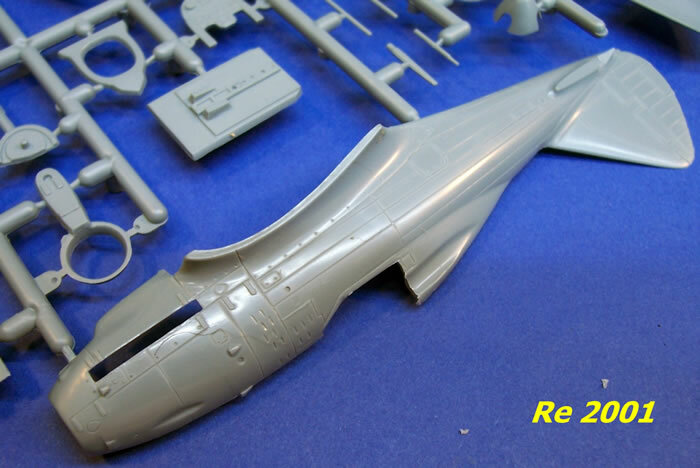 So aside from repowering the Re 2000, Reggiane also changed its wing structure for the Re 2001, although externally the wing appeared to be much the same. 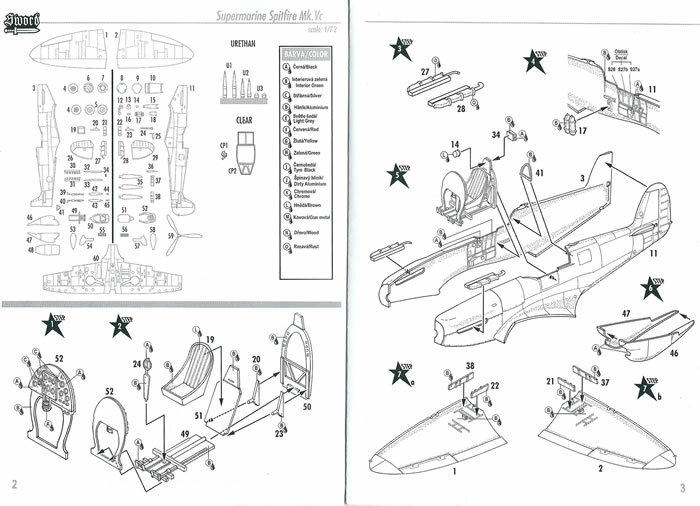 They used a three-spar wing instead of the Re 2000’s five-spar type, and replaced the earlier design’s fuel tanks with self-sealing ones. The Re 2001 was successful in its intended role, but the C.202 proved to be the better design overall. The Re 2001 was subsequently developed into a ground attack fighter using a radial engine, known as the Re 2002 Ariete. The twin-kit package comes in a typically Czech end-opening box with some eye-catching digital artwork on the front. 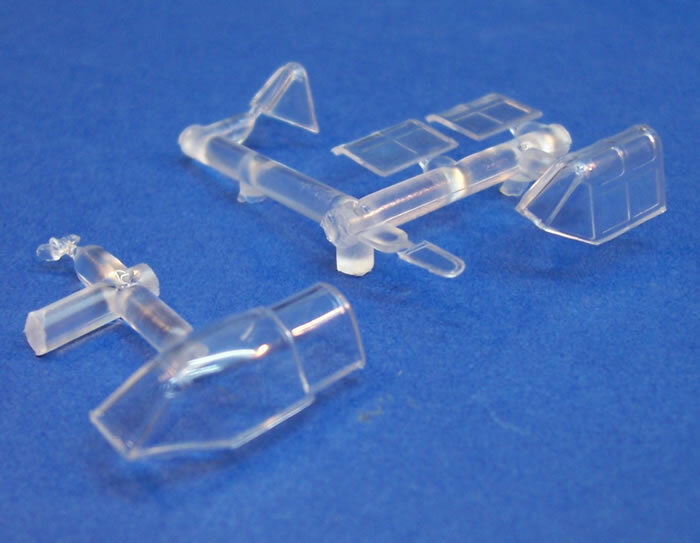 The plastic and resin parts come in a zip-lock bag, with the clear parts further enclosed in a small bag of their own. 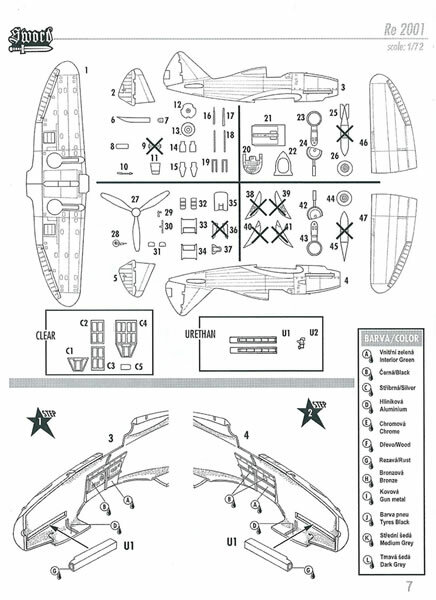 The instructions provide a parts map and easy to follow diagrammatic assembly format. The diagrams are well drawn, and in fact far better than some mainstream brands. 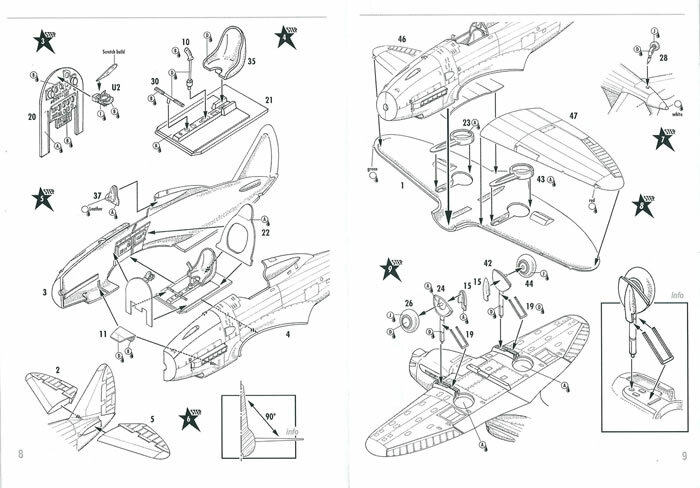 There is also a brief history of the aircraft. Generic paint colours are given in Czech and English, and Czech and Italian, with all other text in English. The painting and decal guide uses adequate black & white shaded 4-view drawings in the instructions, and colour profiles on the rear of the box. Sword uses RAF and Italian paint names, but does not cross-reference these to any colour systems or model paint ranges. 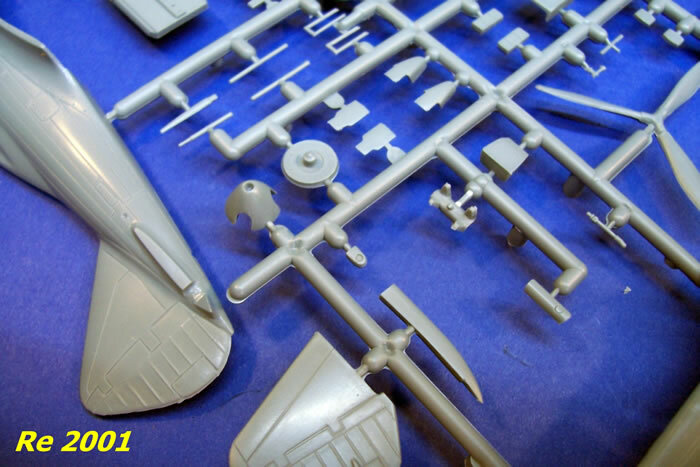 Both are a typical Sword kits in that the plastic has a more shiny finish, the cleanly moulded parts have very fine surface detail, and the sprue gates are narrow. There is just a little flash in places, but this is easy to deal with. 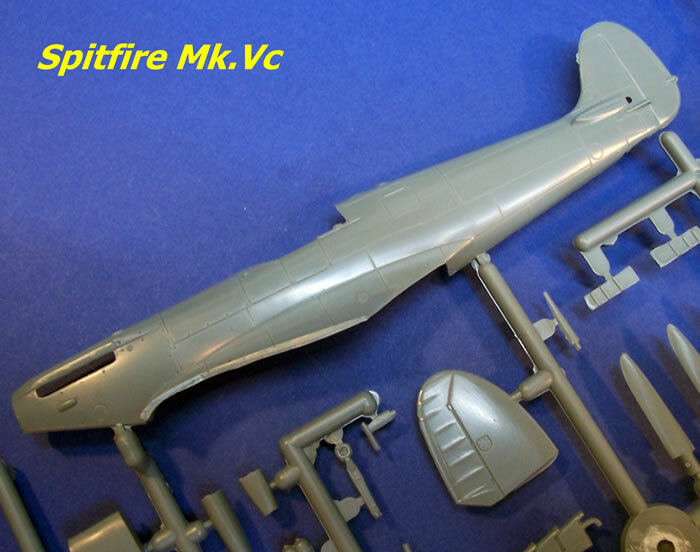 The few resin parts cover the Spitfire’s cannon, and the RE 2001’s exhausts, gun-sight, and possibly wheels too (my kit’s ones may have been a bonus). Parts break down is largely conventional for both types. Cockpit detail in both cases is very well done for the scale; and is only rivalled by a few brands when it comes to wholly styrene representations. 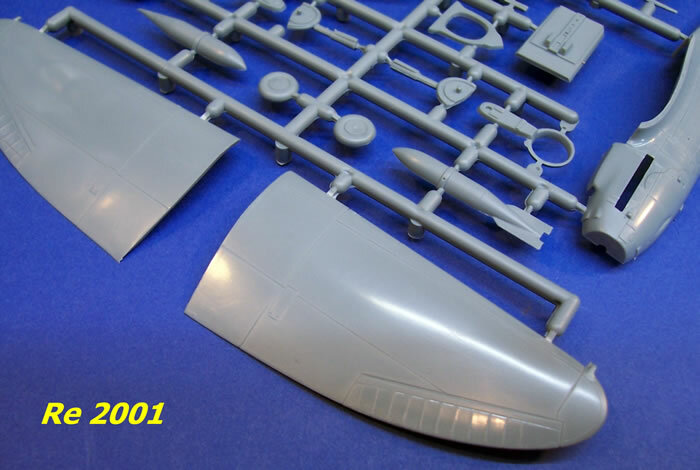 Aside from the obvious floor, seats, instrument panel and control column, they also offer plenty of detail moulded integrally with the fuselage halves. Both have gun-sights, and the Spitfire includes oxygen bottles. Both models will benefit from some PE seatbelts to dress things up some more however. Both kits have a number of options, some not directly applicable to this anniversary boxing. 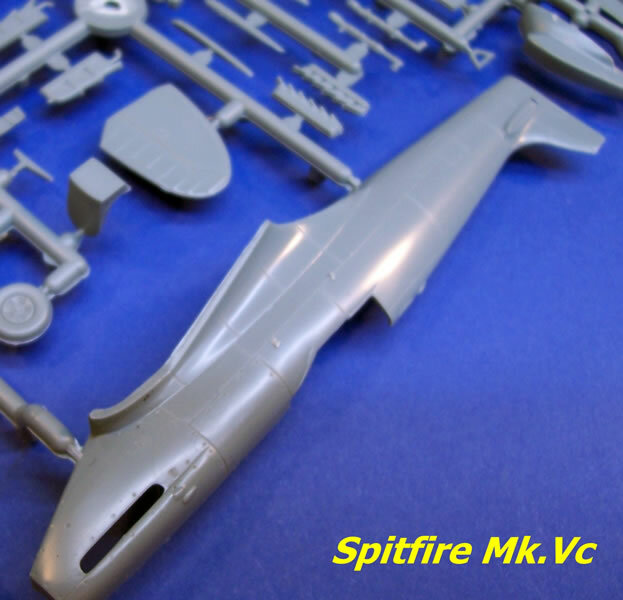 The Spitfire sprues provide a choice of props, rear vision mirrors, Vokes tropical air filter*, clipped wings, wheel styles, number of cannons, and cannon blister styles. 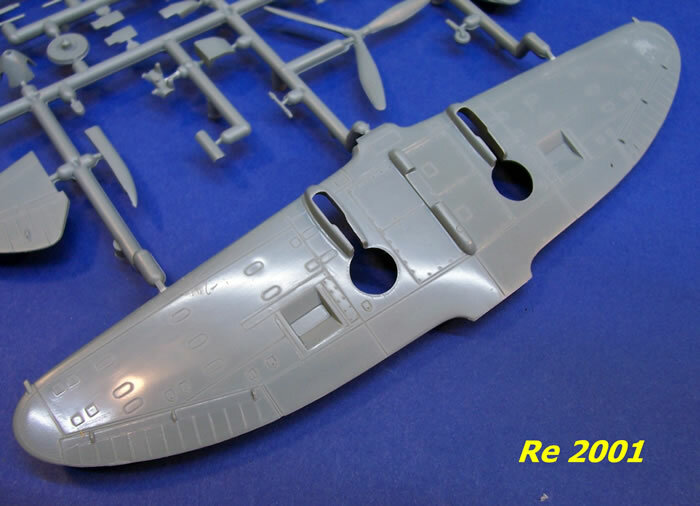 The Re 2001 sprues include options for unprotected or armoured windscreen, open or closed canopy, a bomb and its rack, and underwing cannon gondolas. 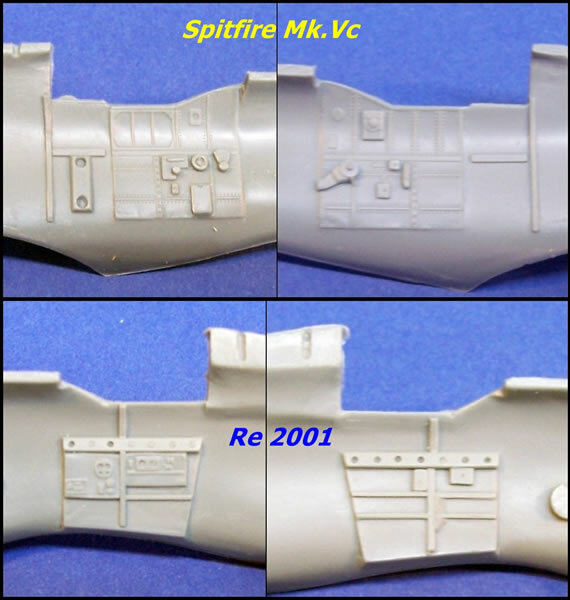 Beware, the Vokes filter may be removed from non-tropical variant boxings of the Spitfire Mk.Vc (it was on the one I own at least, Box SW72037). The canopies are very nicely done, being quite thin and clear. The Re 2001 gives the option of the bi-fold side-opening hood which could add interest to the model, as well the option of a bulletproof windscreen. This last option is provided a separate clear panel that must be fixed over the unprotected windscreen; so using plastic cement is out. Presumably, white glue or perhaps some kind of varnish clear coat will suffice. 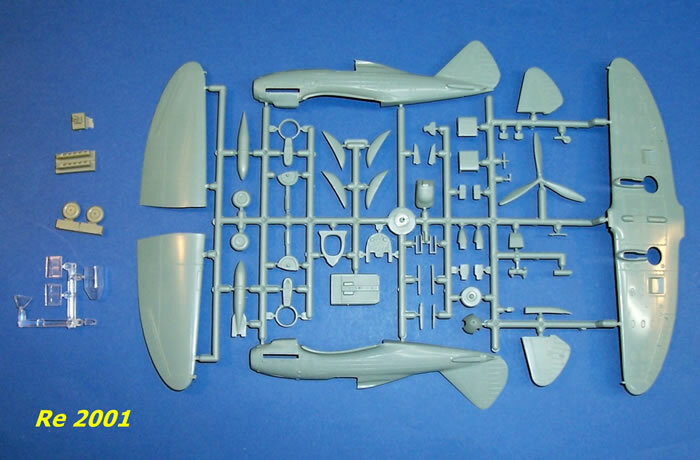 I feel that Sword should provide both windscreen styles as separate pieces. The wings, wheel wells and undercarriage of both kits are all nicely done, as are their radiators and oil-coolers. 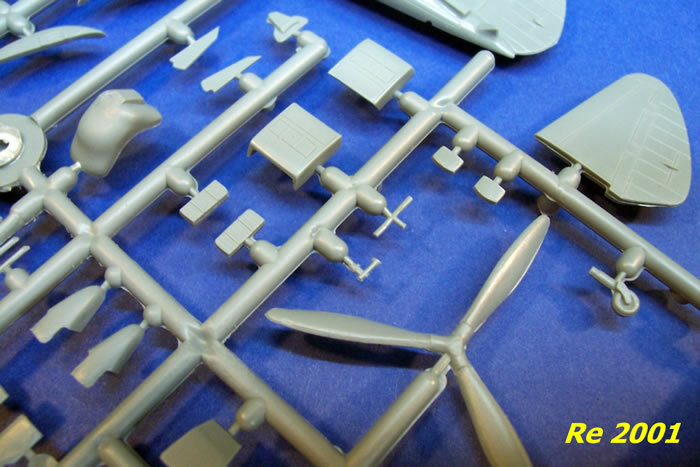 The Re 2001 has both resin and styrene wheels, although the resin ones do not feature in the instructions. In both cases, the props are acceptably fine, although as with almost all injected blades, some additional thinning will add refinement to the finished items. Overall, I should think that these kits should be simple and enjoyable ones to build. They both have very good levels of detail, some nice options, and refined treatment of the panel lines and fabric covered areas. The Re 2001 is the best in its scale, easily bettering the very old Italieri/Super Model/Italeri kit. 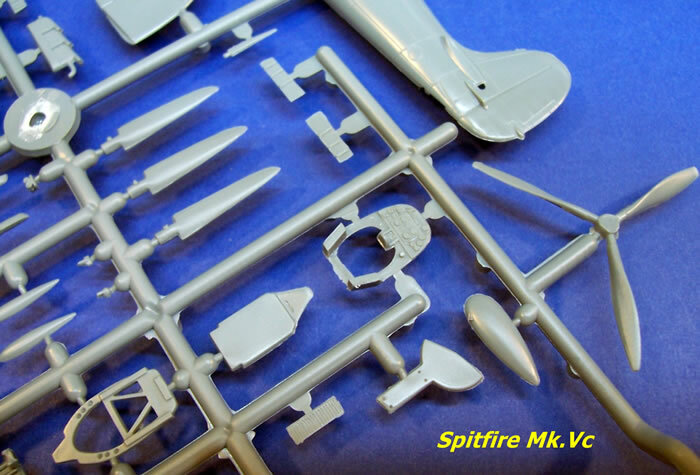 I think that the Sword Spitfire Mk.Vc is definitely up with the best injected 1/72-scale kits of this mark, and indeed, it maybe the best. Where you rank it depends largely on your priorities, and any trade-offs between ease of construction, accuracy and price. 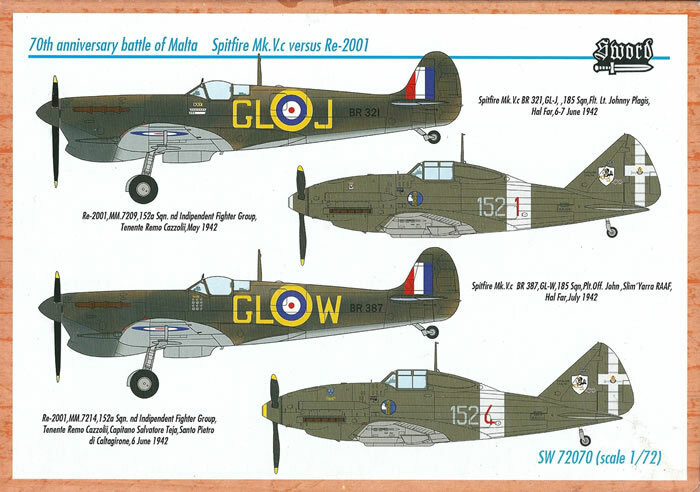 BR321, GL-J, 185 Sqn, Flight Lieutenant Johnny Plagis, Hal Far, 6-7 June 1942. MM.7209, 152a Sqn. nd Independent Fighter Group, Capitano Salvatore Teja, Santa Pietro di Caltagirone, 6 June 1942. The decals are well registered and appear to have good opacity. Regardless of the anniversary-marketing angle, twin packs such as this stand or fall in part on the value they offer over buying the kits separately. In this case, the package does represent extremely good value. You might think that buyers still need to be interested in both subjects to be tempted from buying just one of the pair in its single kit package. 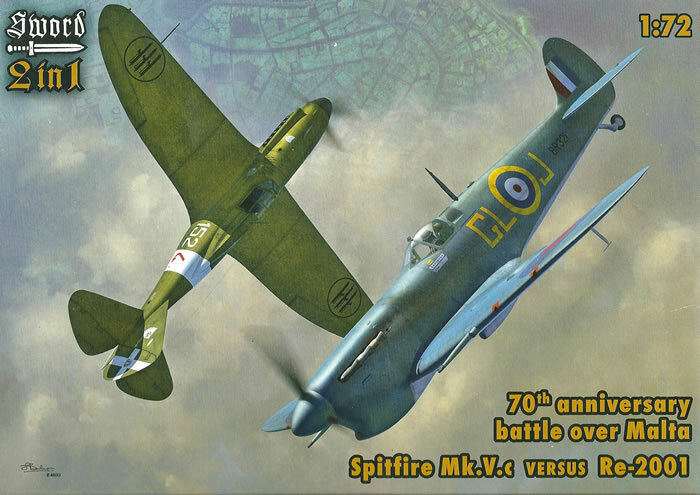 After all, pure Spitfire or Regia Aeronautica fans will probably stick with single packs of their favoured subjects, right? 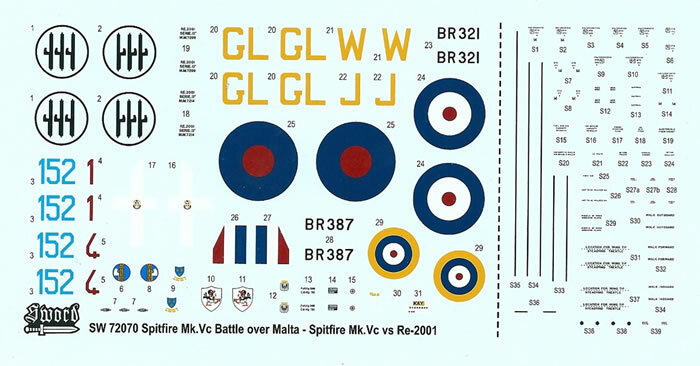 (Although the lure of the “Malta scheme” markings might tempt some Spitfire devotees to accept an Italian side dish.) 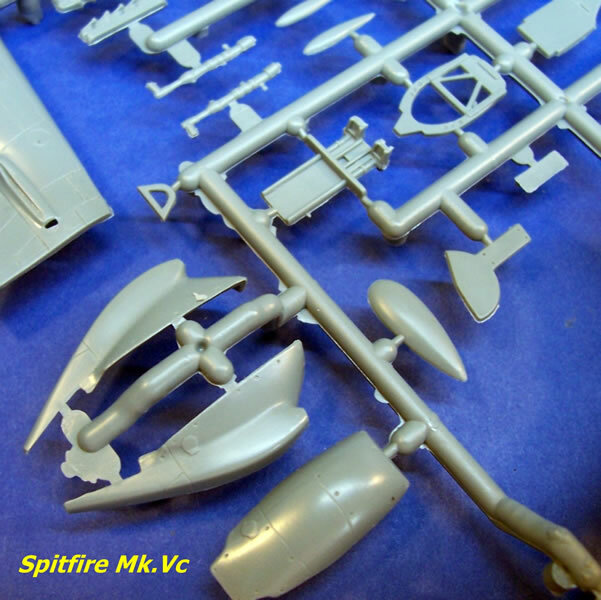 Well this package costs the same or slightly less that single boxings of Sword’s Spitfire Mk.Vc and RE 2001 kits, so opting for the bonus kit just makes good sense.